Freedom is a common word that is often used in our daily lives, but it is not easy to define. Freedom for me means being able to express myself and be outspoken. It means thinking for myself and being free to be curious. Finally it means preserving important economic, social, and cultural rights. 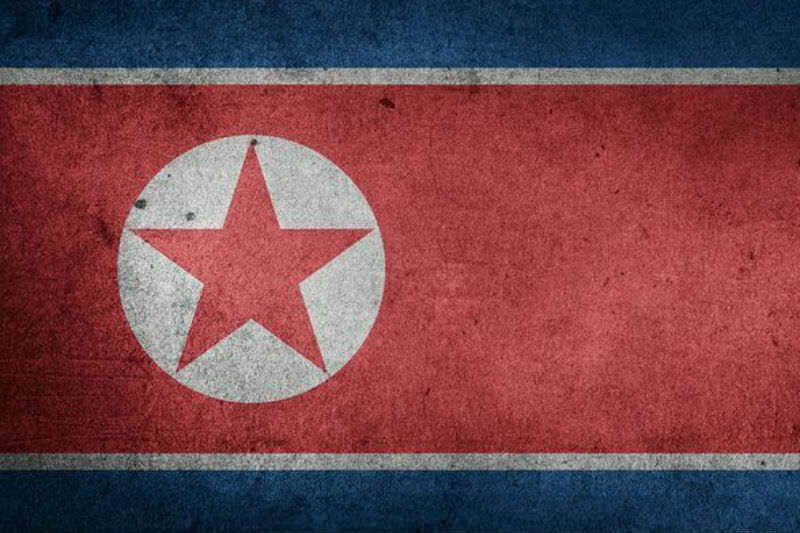 I am a North Korean refugee who escaped in 2012 for this freedom. I was born in 1991 on the east coast of North Korea. At the age of five my parents divorced and I went to live with my grandparents. The divorce deeply affected my mother and she became very ill. She passed away ten years later. My dad went on to start a new life with a new family. The fact that my parents divorced seems to surprise many people and I often get asked, is divorce possible in North Korea? I answer that while uncommon, it is possible. Even if it is an isolated country that may seem like another planet to some, people living there are just like everyone else. It is often small questions like this that make it clear just how little knowledge people have of life inside North Korea. This encourages me to speak out. I tell my family story because I want to provide comfort to others who are hurting, and let them know they can overcome this pain to be happy again. This life can be hard at times. But I don't let my past obstacles define me, and I always strive to achieve happiness and encourage others as well. When I was in North Korea, I would get in trouble for doing something as simple as wearing earrings or clothes that stand out. As a punishment, I was forced to stand in the police station for six or seven hours with no food or water. "Every time I walked out of the house, I was afraid to get caught by the police because of the clothes I wore. I am still afraid when I see people who wear similar clothes as the North Korean police." I witnessed girls get their hair chopped off with scissors on the street by police officers and be assaulted when they tried to escape the situation. I've also been hit and kicked by the police for trying to escape. This is a lack of freedom. To wear earrings and jeans in North Korea is completely off limits and there are numerous other dos and don'ts when it comes to personal style. Even hairstyle is a matter of strict state policies. This gives a whole new meaning to the expression fashion police! Every time I walked out of the house, I was afraid to get caught by the police because of the clothes I wore. I am still afraid when I see people who wear similar clothes as the North Korean police. I thought these punishments were normal until I illegally watched South Korean dramas and American movies. People in these dramas were so free and joyful. I began to compare my life in North Korea to theirs. Why did I have to be punished for the full expression of my personality? There is only one TV channel in North Korea. We get brainwashed in our education at school, and also through TV. We learned that Kim Jong-il and Kim Jong-un had no time to properly eat or sleep because of all the time they dedicated to helping the citizens. However, it is easy to tell from just one look at Kim Jong-Un on TV that he eats more than enough. I asked why. Why do they tell us that for his people Kim doesn't eat enough food and doesn't sleep, when in fact he is fat? When I came to South Korea I learned about issues like child abuse and animal abuse. I realised that there is such a thing as basic human rights. These ideas don't exist in North Korea and I became passionate about learning more. North Koreans don't think much about many of the social and cultural issues that people in free countries think about because they were born to live as political slaves for the Kim family. They are puppets of the regime, taught to function without creativity or original thought. We only live once. So I decided that I had better chase my dream to go to another country where I could live as a human being. Some people may think that to be upset at not being able to dress the way I wanted in North Korea is a superficial concern, but the matter goes deeper than that. By escaping, I was trying to find my lost identity as a human being and to defy the North Korean dictatorship and their brainwashing. I thought I would be very happy when I came to the South. No one has control over me, so I often dreamed about dressing freely, studying what I wanted, and travelling around the world. However, this newfound freedom would not be free of course. There was no one in South Korea to support me. I also had to pay back $7000 to a smuggler who helped me escape North Korea. I needed a job to survive. So I found a job at a bakery. I thought if I worked hard, I could save money and realise my dreams. I tried to do my best at this first job but unfortunately, I was fired after one month. Why did this happen? Because I did not know the names of the breads. In North Korea we only had a few breads with very simple names. In South Korea, there are hundreds of breads, and they were all new to me! There were so many Konglish words that I did not know. Konglish refers to the Korean language adopting English. For example, South Koreans use the Konglish word ???? ?, which means egg tart. This word does not exist in North Korea. I realised that I needed English to survive in South Korea. So, I started studying at a non-profit organisation in Seoul named Teach North Korean Refugees, or TNKR, which helps defectors learn English. Many other North Korean refugees face the same difficult situation. it opens up new lives for them. Lives where they can live as a part of South Korean society. Volunteers with TNKR go above and beyond to help us. Many have full time jobs, but they still come from all over Korea to teach North Korean refugees in Seoul. I was really surprised that so many people were paying attention to North Korea and helping refugees. I thought about it then. So many people have supported and encouraged us to succeed in life. Yet, I was living with a reluctance to be a North Korean. I wondered, what could I do for these people who want to know about the North and help people in North Korea? While at first I felt reluctant to share my true identity out of fear of judgment, I came to recognise the kindness of others and their willingness to help. This encouraged me to be open with my story, in order to provide courage and hope to other defectors. North Korea is an incredibly isolated country that people are curious to know more about, and I started to feel that it was my duty to speak out. Thanks to TNKR and all their amazing volunteer teachers, people who are passionate about helping North Koreans, I was finally able to admit that I am North Korean. I now live without a shred of embarrassment about my North Korean origin. Finally, I would like to ask this question. Do you enjoy your freedom? I will answer this for myself. Yes I enjoy freedom. I enjoy the freedom to travel on an airplane, meet friends from around the world, learn about new cultures, enjoy Latin music instead of songs that praise only the Kim family, and even call Kim Jong-un a pig. If you feel that you are being oppressed in your freedom, you have the power to fight for that freedom that you deserve! Eunhee Park is a Melbourne based public speaker for the Jesuit Social Services' Just Voices Speakers Program. Welcome, Eunhee. You are a very valuable addition to this country. I trust you have found happiness here. Thanks Eunhee. I wonder how many of us in our society are even aware of having lost our identities as human beings? To find our identity in any society is a challenge. Yes welcome, Eunhee. I am so glad you didn't try to come to Australia by boat. Eunhee, I echo John Frawley’s sentiments! Australia is a better country because you have joined us. Thank you.